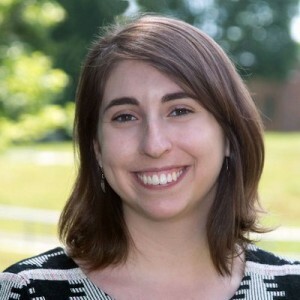 Our second curator for FIRE AND ICE WEEK is Molly Wasser (@mollylouwas) Digital Media Lead at the Solar System Exploration Division, NASA Goddard Space Flight Center/ADNET Systems Inc. Molly is from the state of Pennsylvania, US and has a B.A. in Cinema and Media Studies and Astronomy from Wellesley College, and Masters in Education from Harvard University. Molly’soutreach work includes being the voice of @NASAMoon and @LRO_NASA and the Deputy Director of International Observe the Moon Night. Molly is focused on making science accessible and fun to non-scientists, particularly those underrepresented in STEM fields. Prior to joining NASA Goddard in 2017, worked as an educational video producer at the Harvard-Smithsonian Center for Astrophysics, an online course producer at HarvardX, and an educational producer for the IMAX film, Voyage of Time. Molly loves crafts, astronomy and Beyonce and her dog Stella. More from Molly below. I never liked science growing up, and entered college intending to study film. I took astronomy as my lab requirement, and fell in love. I still wasn’t sure of my abilities, but a wonderful and nurturing professor told me that I could in fact, do science. Thanks to a wonderful and nurturing professor, who told me that in fact, I could do science, I spent all my time at the observatory. Given my own experiences in science education, I believe strongly in making science accessible and fun to all – particularly those from underrepresented backgrounds. I grew up thinking of science as boring and masculine and of course, neither of those are true! We need a diverse group of scientists to push us forward and my goal is to bring science to the next generation. I am the Digital Media Lead in Planetary Science at Goddard, so I mostly work on social media and web content. I run and monitor many social media accounts, making sure that we are sharing NASA science and providing general information about our solar system. I run the @NASAMoon account and I like to post a mix of science, lunar history, and general facts about the Moon. I work on websites with general information and help scientists to figure out the best way to share their work digitally. I also go to many events and talk to people about NASA science and all the cool things that we have discovered and have left to discover. This week, in Iceland, I’ll be sharing our exploits through social media, blog entries, and recording audio to turn into a podcast! Space science is amazing! Every time I start thinking about how our Earth is a pale blue dot in our solar system, which is a tiny dot in our galaxy, which is a tiny dot in our universe…. well it’s mind boggling. Please welcome Molly to FIRE AND ICE Week! Planetary Happy Snaps – Divya M Persaud joins Real Scientists for Cassini Week!